2 Ways to Transfer Photos from iPhone to Your Computer. Easily! As we all know iPhone built-in camera is good to use. The photos taken this smartphone camera is in high quality. In order to use it to take more photos, more storage space is necessary, even the biggest space volume is not enough. The only way is to back up your photos. 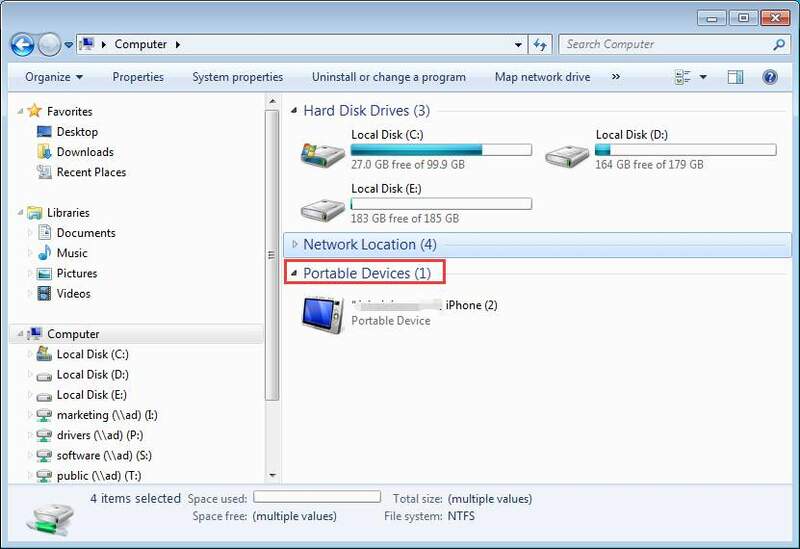 If you’d like to back up the photos to your computer, this post will tell you how to do it. Apply to Windows 10, 7, 8 & 8.1. 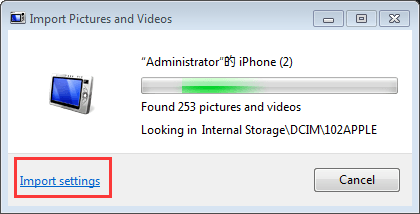 There are 2 ways you can use to import the images from your iPhone to your PC. 1. Plug your iPhone to the computer using a USB cable. 2. You might need to unlock your iPhone using your password. 3. 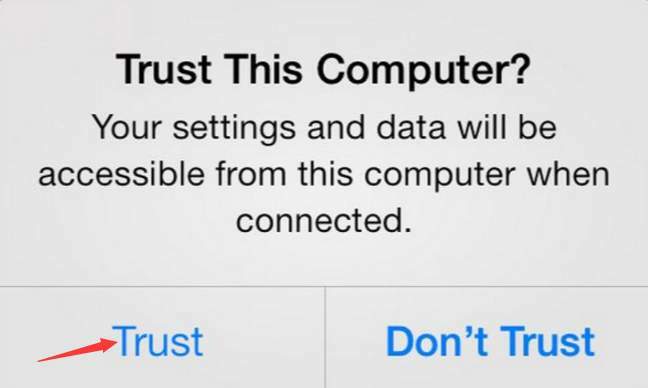 A prompt will pop-up on your iPhone asking you to Trust This Computer. Tap Trust. 4. 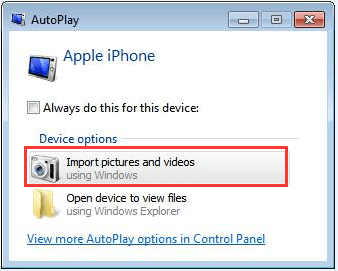 When your iPhone is recognized by PC, the AutoPlay window will pop up. Click Import picture and videos. Then the import process will begin. The photos will be imported to My Pictures by default. If you want to save them to another location, you just need to change the Import settings. 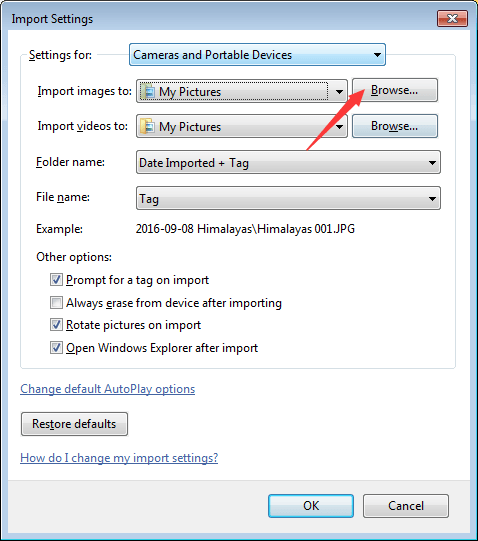 a. Click Import settings in left corner bottom to open the Import settings dialog box. b. Click Browse… button to choose a location where you wish to save the photos. Then click OK button to apply the changes. After that, the import will restart. Note that the specific steps will vary depending on different systems. Just follow the on-screen instructions. The AutoPlay method does not allow you to choose the that you wish to import. If you just want to import some specific photos, please follow these steps. 1. Open MyComputer. You will see your iPhone show up under Portable Devices. 2. 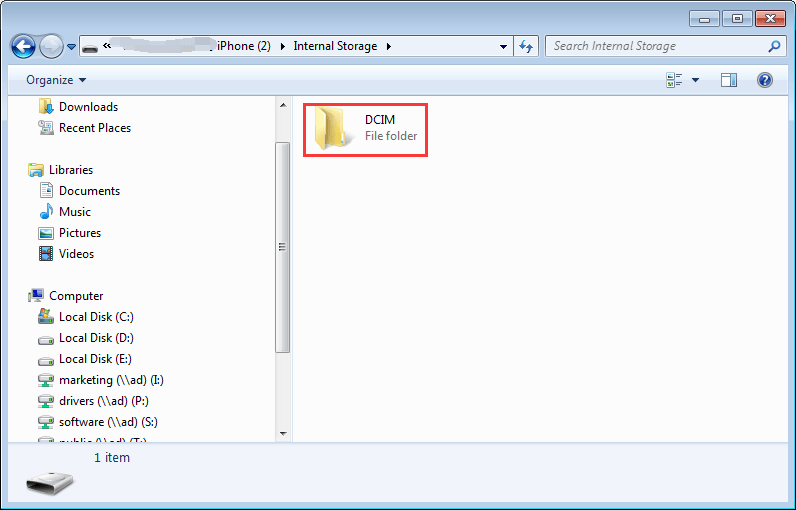 Open it and find the folder named DCIM. Find the photos that you would like to transfer to your computer. Then copy or cut them to your PC. Way 1 only allows you to import the Camera Roll but not Photo Stream. The Photo Stream snapshots don’t last forever and your iPhone will store up to 1,000 Photo Stream images. So it is also necessary to backup the photo stream images. 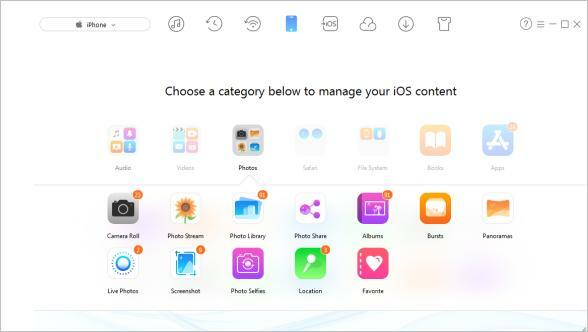 In this case, you can use iMobie AnyTrans for iOS, which can be easy to use to transfer Camera Roll and Photo Stream. AnyTrans for iOS is the best iOS data manager, which not only allows you to import photos from iPhone to PC (title: How to Transfer Photos from iPhone to PC) but also allows you transfer photos from PC back to iPhone. With it, you can use your iPhone as a USB Flash drive. When you connect your iPhone to your PC, the iPhone will be automatically recognized by iFunbox. You can choose to import all photos or some photos. Very easy to use. Just download and install this application on your computer to manage your iPhone images easily.